VALLETTA, Malta -- Spearheaded by the venerable Times of Malta, the English-language press remains effectively the last bastion of democracy in this troubled Mediterranean island following the gradual emasculation of the once independent judiciary by a wave of political appointments in what is increasingly becoming a one-party state, observers say. Hardly a day passes without The English-language Times of Malta’s doughty investigative reporter Jacob Borg or one of his colleagues disclosing a new scandal exposing the increasingly venal activities of the political establishment. On Sunday he revealed how a cousin of Prime Minister Jacob Muscat serving as the Maltese consul in Algiers allegedly had enjoyed a lucrative trade in Schengen visas sold illegally to Algerians wanting to enter Europe. 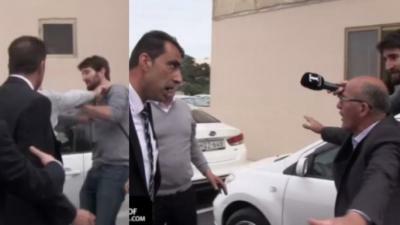 The Maltese police had shrugged their shoulders over the affair and taken no action when approached by an Algerian-Maltese whistleblower who subsequently was stripped of his Maltese citizenship in vicious retaliation. On Saturday reporter Ivan Camilleri revealed how the Maltese justice ministry spent more than 650,000 euros on consultancies last year. The Maltese Arts Council, which bizarrely is part of Justice Minister Owen Bonnici’s remit, spent hundrerds of thousands of euros in consultancy services to various companies and individuals mostly linked to the ruling Labour Party. On Friday Camilleri disclosed how the widow and son of an accountant who was killed with a mallet and dismembered 37 years ago are seeking compensation because his clients included people connected to the late public works minister Lorry Sant, one of the few politicians convicted of corruption on the island. Also Friday the Times disclosed how a millionaire entrepreneur with links to two Maltese companies, Marian Kocner, had been charged with masterminding the assassination of Slovak journalist Jan Kuciak. 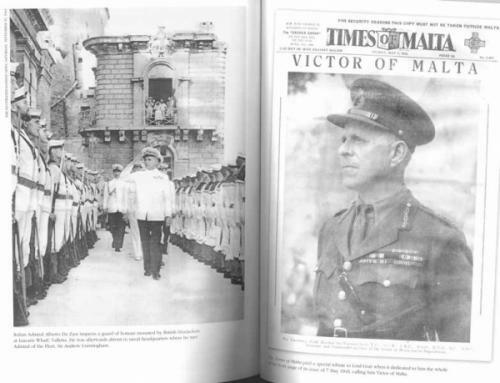 Founded by the Strickland family in 1935, the Times of Malta is one of the oldest English language newspapers in the Mediterranean, enjoying a healthy rivalry with the Malta Independent and Malta Today, a bi-weekly. The newspaper has survived many viccisitudes including the bombing siege of the island by German and Italian warplanes in the Second World War and a crowd of supporters of Labour Party leader Dom Mintoff setting afire its offices in the centre of Valletta, the island capital, Oct.15, 1979. Among staff in the building when it was set afire was Victor Aquilina, a journalist who also filed for United Press International from the island with whom I worked when I flew to Malta in 1985 as a UPI reporter to cover the bloody hijacking by Palestinian gunmen of an Egyptair jetliner. More recently the newspaper was rocked by disclosure in the Panama papers that its former managing director had pocketed a 600,000 euros backhander on the purchase of a new printing press for Allied Newspapers, the owners of the Times and Sunday Times of Malta titles. The Sunday Times last week-end carried a thoughtful piece by blogger Manuel Delia comparing the sacrifice of murdered investigative journalist Daphne Caruana Galizia with the assassinations of Italian crimefighters Judges Giovanni Falcone and Paolo Borsellino. It remains to be seen, however, how long the English-language press will be able to sustain its watchdog role. The Labour Government of Mr Muscat starves the Times and Independent of state-funded-advertising and small teams of journalists must make herculean efforts to produce both a daily print edition and a digital newspaper. The English newspapers cater mainly for the educated elite and middle classes, expats and tourists while the majority of ordinary Maltese rely on Maltese-language television stations controlled by the state and the two main political parties. Fighting a constellation of libel suits brought by government figures, the newspapers’ editors are determined to continue the investigative work of Ms Caruana Galizia, responding to the plea made to all Maltese by Andrew Borg Cordona, a family friend and lawyer, at ceremonies in Valletta Saturday to mark the 17th month since the reporter’s murder.